The Ontario Judicial Council (OJC) has ruled that a judge who founded an advocacy group for black Canadians, and lobbied politicians with the “highly laudable” aim of helping his community overcome racism and poverty, engaged in a form of impermissible “advocacy and political activity” — but his actions did not amount to “judicial misconduct” that could merit his removal from the bench. On Dec. 20, a four-person OJC panel chaired by Ontario Court of Appeal Justice Robert Sharpe issued its 42-page decision which concludes that Justice Donald McLeod, in his role as chair of the interim steering committee of the Federation of Black Canadians (FBC), engaged in a form of advocacy and political activity that is inconsistent with judicial office when he initiated meetings with senior government officials and politicians, including members of Parliament, cabinet ministers and elected municipal officials, during which he advocated for specific policy changes to help the black community and for government funding to achieve those aims. The panel noted that the purpose of judicial conduct proceedings is remedial and not punitive. A judge can only be found guilty of judicial misconduct where his or her breach of the ethical standards of judicial conduct was so seriously contrary to judicial impartiality, integrity and independence that it undermined the public’s confidence in the judge’s ability to perform his duties, or in the administration of justice generally. That test for misconduct was not met, the panel decided. 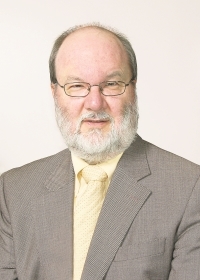 Although Justice McLeod’s conduct was incompatible with judicial office, when all the relevant circumstances are taken into account, his conduct has not undermined public confidence in his capacity to carry out his judicial functions or in the administration of justice generally, said the panel, whose members also included Justice Hugh Fraser of the Ontario Court of Justice, David Porter of McCarthy Tétrault, and Judith LaRocque, a member of the public. The panel’s decision is the second in as many months from a judicial council to find that a respected judge who engages in well-meaning extra-judicial activity to aid disadvantaged members of society may be found to be in breach of the ethical guidelines for judges. Its decision also highlights the emerging issue of whether those long-established ethical rules should be modified to accord with the modern-day role of judges. Justice McLeod did not respond to a request for comment. But in his submissions to the OJC on the judge’s behalf, Sandler urged that the justice system “is not so fragile a flower that it would wilt” as a result of the activities Justice McLeod engaged in. “In my view Justice McLeod has a lot more to offer government about how the justice system should respond to racism than I do,” he explained. 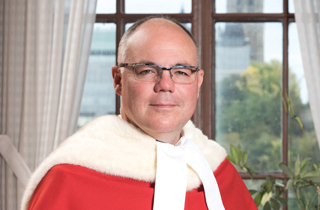 In deciding that Justice McLeod’s impermissible lobbying and advocacy did not rise to judicial misconduct, the OJC’s panel noted these activities were not prolonged and they were conducted in a measured and respectful manner. Moreover, Justice McLeod, who sits in Brampton, Ont., is highly regarded as a judge and serves as a role model for young black males, the panel remarked. He grew up in a female-led, single-parent household, and lived in social housing, including in Toronto’s Regent Park. His life experiences make him “uniquely aware of the problem of black over-representation in the criminal justice system,” the panel remarked. The panel said the judge was genuinely motivated to promote public confidence in the justice system. He acted in good faith, sought ethical advice and attempted to respect the limits that his judicial role imposed. The panel concluded that a finding of judicial misconduct is not required to restore public confidence in Justice McLeod, or in the administration of justice generally. However, the panel also admonished that its decision clarifies the issue of advocacy and political activity by judges, and defines a boundary that all judges must respect in the future, however laudable their motives. In particular, while community activity is encouraged, judges must conduct themselves in a manner consistent with the principles of judicial impartiality, integrity and independence, the panel warned. Justice McLeod helped found the FBC and was one of its leading voices, the panel’s decision said. The FBC has the “laudable goal” of promoting greater equality and inclusion for persons of African descent in Canada and, as such, its activities included identifying issues confronting black Canadians and meeting with politicians and government officials with a view to addressing the issues, and improving the circumstances, of African Canadians. After graduating law from Queen’s University, and practising criminal and administrative law for 15 years, he was appointed to the bench. During his legal career he was always involved in community organizations and initiatives, in particular those that promoted the education and mentorship of black youth. He told the panel he considered it his duty to help others overcome the obstacles of poverty and racism that he faced, so that they can lead positive and productive lives. In 2016, not quite three years after he became a judge, a young, pregnant black woman was shot and killed, and her baby who was delivered prematurely, died three weeks later. Justice McLeod, who knew the woman’s aunt, was “profoundly affected by the tragedy,” the panel said. He decided something had to be done to stop the cycle of gun violence involving black youth and to address its roots. He organized a meeting of 37 people — the “Toronto 37” — who had backgrounds in mental health, corrections, education and criminal justice. They subsequently identified 13 specific areas of concern for the black community and tasked 15 volunteers to prepare a “white paper” examining the issues facing the black community in the areas of mental education, mental health and corrections. The judge then initiated meetings between June and September 2016 by the Toronto 37 with politicians from various parties, government officers and political staffers to discuss the issues, including federal Public Safety Minister Ralph Goodale. The national FBC was founded after the meetings to create an effective national voice. The interim steering committee, until a board was in place, was chaired by Justice McLeod, who said he would not run for the board once it was established. There were meetings chaired by the judge, with Gerald Butts, the prime minister’s principal secretary; with Ahmed Hussen, the minister of Citizenship and Immigration; and with Prime Minister Justin Trudeau in the company of experts, federal MPs and black community leaders. 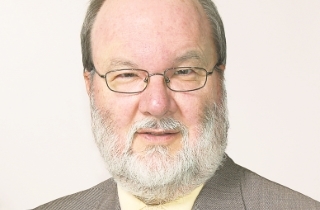 Along the way Ontario Court of Justice Associate Chief Justice Faith Finnestad, who eventually referred the matter to the OJC last February, expressed concerns to the judge that his activities were not consistent with his judicial role. There were also media articles describing him both as a sitting judge and leader of the FBC, and quoting him in the latter capacity. One article raised questions about ethics and conflicts of interest and suggested that the FBC, which describes itself as non-partisan, was a “thinly-veiled front for partisan Liberals.” A CBC article questioned whether it was appropriate for the judge to lead the FBC while presiding as a judge. The judge sought ethical guidance from the court’s judicial ethics committee. After OJC proceedings began, the judge resigned as chair of the FBC’s interim steering committee. 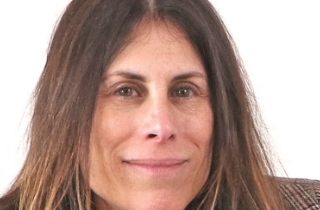 Linda Rothstein of Toronto’s Paliare, Roland, who was the counsel who presented the case against Justice McLeod at the OJC, said the evidence did not support allegations against the judge of partisan political activity and fundraising. However, she contended that his actions, through the FBC, of engaging directly with politicians to advocate for identified policy outcomes and the allocation of government resources to meet those outcomes, cross the line into impermissible judicial conduct. The judge’s position was that he engaged in important community activity, bringing to public attention issues that affect a vulnerable and disadvantaged community. He said that nothing he did undermined public confidence in the administration of justice or impaired his capacity to carry out his judicial functions with independence and impartiality. However, it said the issue could not be decided based solely on the judge’s intentions or good faith — his actions had to be considered against the objective standard of conduct expected of judges. Nor did the panel accept the judge’s argument that he was not engaged in “lobbying” as there was no “quid pro quo” exercise whereby the FBC was promising something in exchange for what it was asking. “In our view, no ‘quid pro quo’ is required to constitute lobbying,” the panel said, citing multiple authorities. The panel concluded that “engagement that a judge initiates outside the courtroom, with politicians to achieve policy changes not directly tied to the administration of justice amounts to political activity that violates the principle of separation of powers, threatens judicial independence and is inconsistent with the standard expected of a judge of the Ontario Court of Justice.